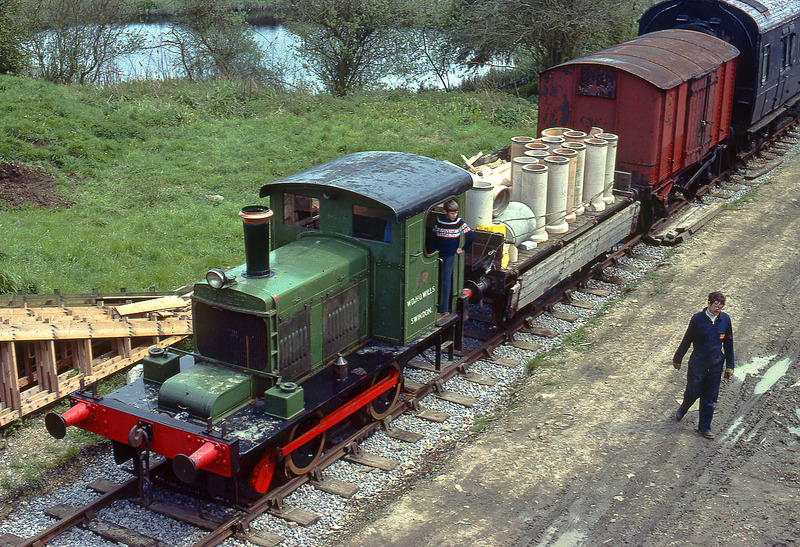 In the very early days of the Swindon & Cricklade Railway, 1936 built John Fowler 0-4-0 No.21442 shunts an engineers train at Blunsdon on 9 May 1981. The loco is still in its unrestored condition, in the original livery of W.D & H.O Wills, in whose Swindon factory it had worked for fifty years. It has since been restored and appropriately in view of its links with the tobacco industry been named Woodbine. Note also the very basic nature of the Blunsdon site at this time, with the general impression in this view from the roadbridge being of a single track line running through a field!